In 2013, a massive campaign for awareness was launched. The goal: a giant digital billboard in Times Square, New York to raise awareness to the massive crisis of elephant and rhino poaching. The campaign raised the necessary $25,000 and the billboard ran for a month, once every 2 minutes, 24 hours a day, exposing the message to thousands of people. Now two years later, Times Square will serve as the center of attention again for the New York ivory crush. 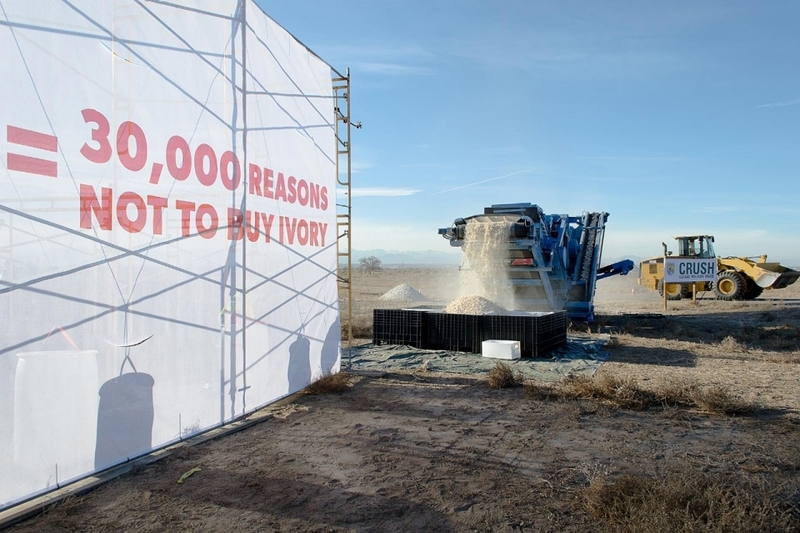 1 ton of ivory will be pulverized today as a symbol of the USA’s commitment to stop wildlife trafficking. According to the Fish and Wildlife Service, most of the pieces are large statues and tusks confiscated in seizures in Philadelphia and New York. This is the second public crush for the US, the first was a destruction of 6 tons in Colorado in 2013. According to the group ’96 elephants’, since 1989, 13 nations have burned and crushed almost 150 tons of confiscated ivory, which represents slightly more than 13,600 elephants. *There are 100 elephants killed for their meat and ivory. 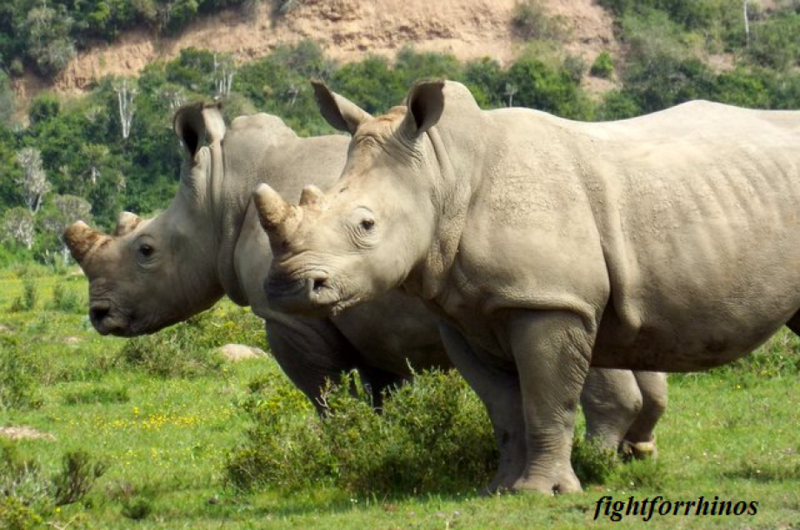 * 2 rhino are killed for their horn (a lesser amount due to the lesser population). A rate that has increased an unimaginable 3,336% in 4 years! 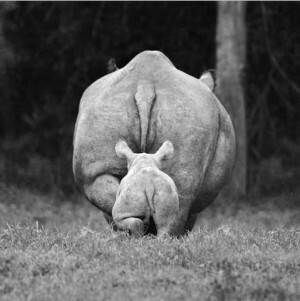 Poaching is killing not just our animals, but our economies and through vast criminal networking-our people. Poaching is not just the deed taken on by the poor man, but terrorist groups, using the funds of the ivory and horn for their darker cause, making the illegal wildlife trade the fourth most lucrative global criminal activity. This is a global issue needing IMMEDIATE attention from our people, and immediate action from our governments. 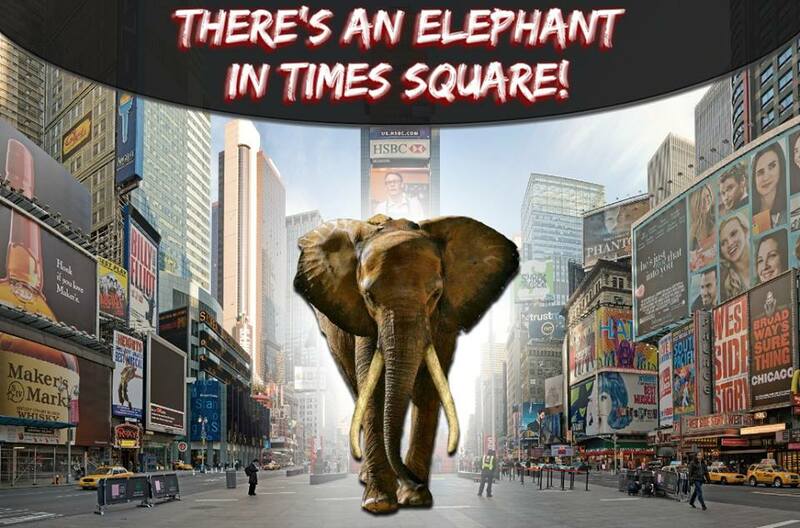 Therefore one of the biggest global issues of our time, concerning the biggest land mammal should have the biggest platform…Times Square in New York. There is a campaign to raise $25,000 to fund this endeavor. Elephants NEED this exposure. Many people are not even aware they are in danger. If we can’t stop this, they will be gone in just 10 years. Please go to THE ELEPHANT IN TIMES SQUARE to make a donation.